Don't get scared! This is just a reflective decal on the rear windshield of a car. Few car owners in China, in order to discourage people driving with high beam behind the,m are using this way to (scare!) them. These spooky reflective decals illuminate when a car behind has its high beam on and boo! These decals aren't noticeable in low beam but are designed to light up only when a bright light hits them directly. They normally feature female movie monsters from Eastern and Hollywood films and vampires too. These are fairly inexpensive to buy, roughly between $3 and $18 on sites like Taobao and they vendors specifically mention that the decals are meant to work when the rear car has its high-beam flicked on. 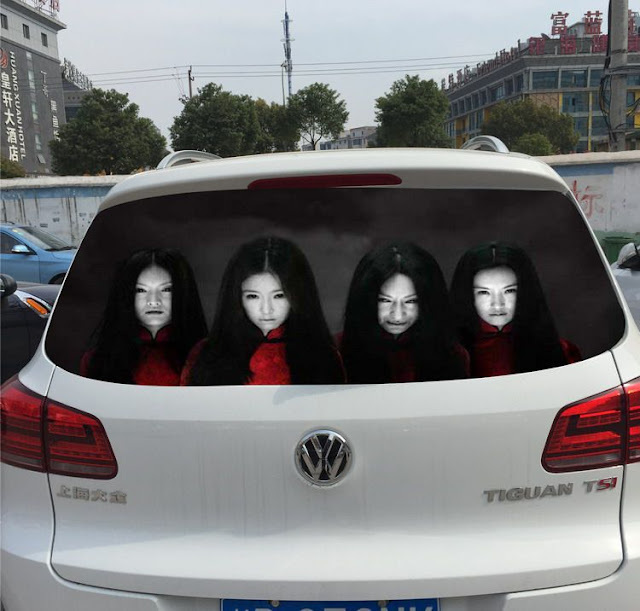 The traffic police in some areas have warned against using the scary stickers, because they could cause accidents. In Shandong, the police say they'll issue 100 Yuan ($15) fines to drivers using ghoulish decals. 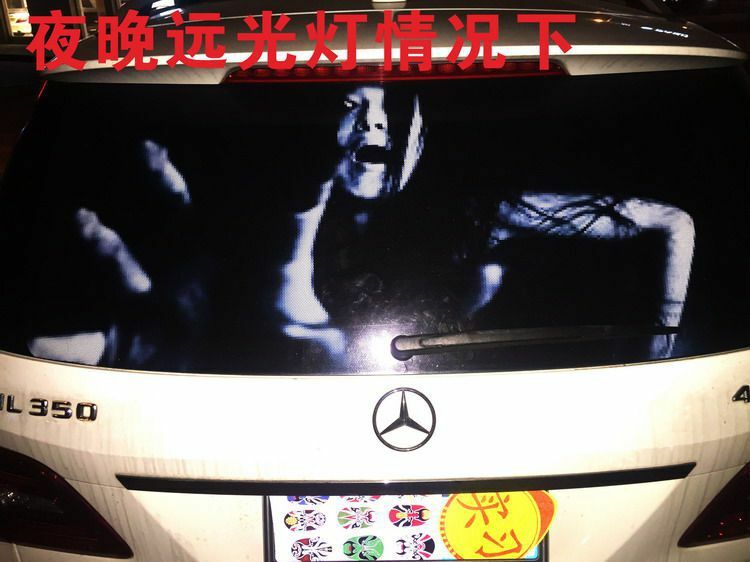 But in Beijing, police say it's not illegal to have the decals on but the driver may have to bear responsibility of any accidents that result from scaring another driver. 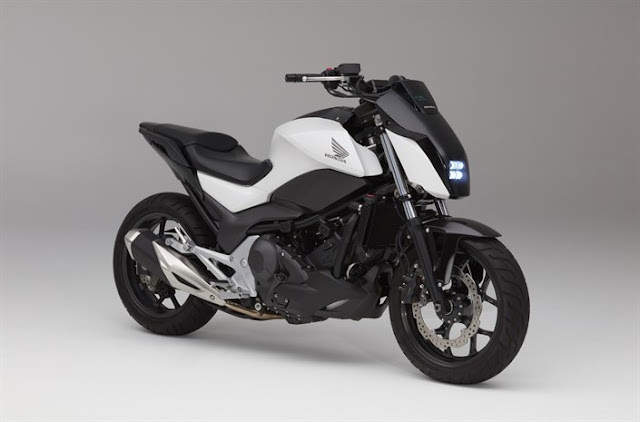 So our question is - Do you want these to be sold in India too?, where maximum drivers don't care about rules and keep there lights on high-beam. What is your take on this? Is this the right answer to them or they are too scary to cause accidents? Please write your views in comments below. Can you please put a link where these item are available to buy? Thanks for writing to us. Unfortunately we do not support this method of scaring other drivers. Thus, we won't be able to help you with the details you require. Do let us know if you need any other help.